FYI - Due to overwhelming response - we are offering 2 deals and/or giveaways a week now! :) So either 2 weekly deals or a combination of a giveaway/deal a week will be posted. Enjoy! 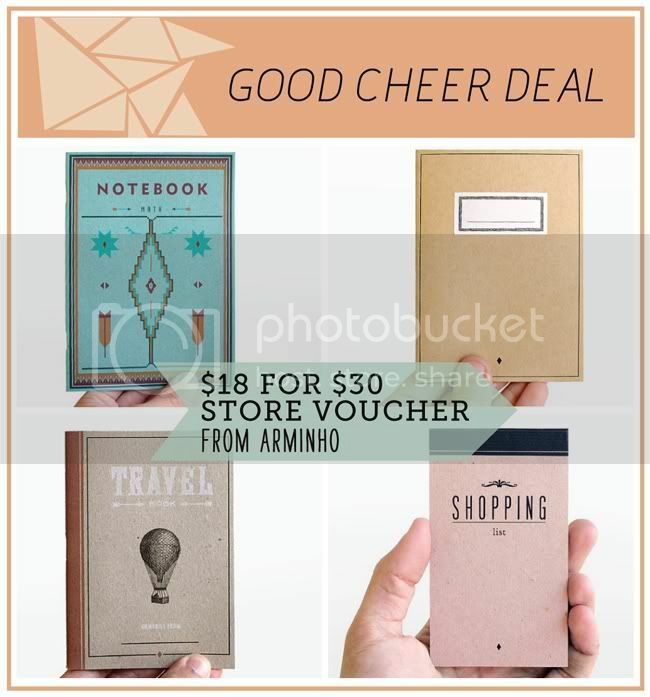 This week we have a sweet voucher deal from ARMINHO! I just love everything in this shop - the sweet notebooks and design to the styling of the photos, it's all amazing. - Only 30 vouchers available! - This deal is open to all countries. - Voucher may be used toward shipping costs.